Here we have two videos from Stoke Con Trent #6 at Staffordshire University on 09-04-2017. We have “Part 1” which was the selection of the under 16’s followed by the over 16’s. Then we have “Part 2” which was the final held inside the LRV on the main stage, again we start with the under 16’s followed by the over 16’s. In “Part 2” we also get to find out who was the overall winner. 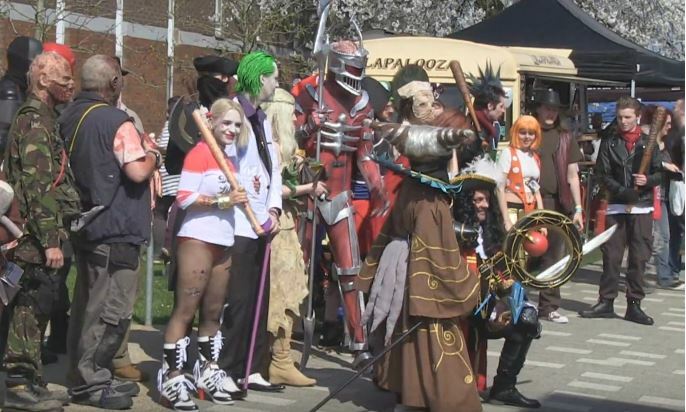 This entry was posted in Stoke CON Trent April 2017 and tagged Cosplay, Stoke CON Trent on 2017-04-10T11:16:23+01:000000002330201704 by NSTV News Team.